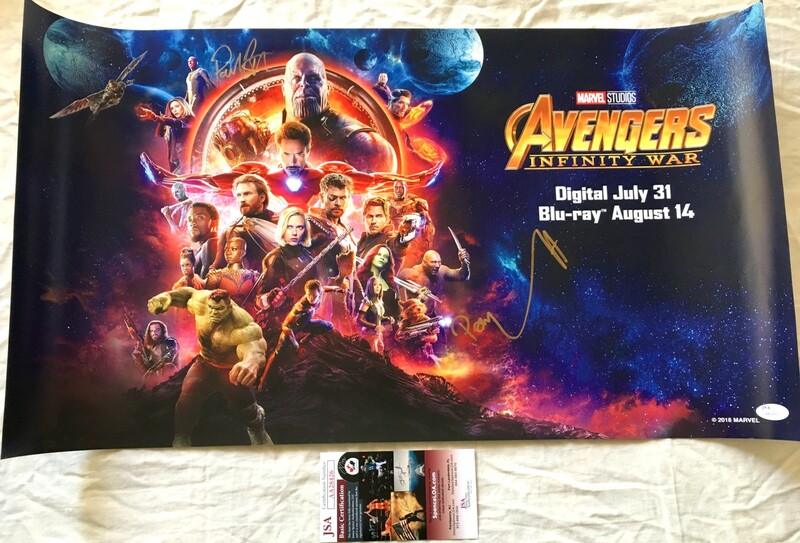 Marvel Avengers Infinity War 14 by 26 inch movie poster distributed EXCLUSIVELY at 2018 Comic-Con in San Diego autographed in gold by stars Paul Bettany (Vision) and Pom Klementieff (Mantis). Obtained in person at very limited Marvel 2018 SDCC signing. Authenticated by JSA with their matching numbered sticker on the poster and certificate of authenticity card.